Joseph Schofer's research and teaching focus on decision support and decision making for transportation and other infrastructure systems, including needs for and use of data and information, and learning from experience and natural experiments, including natural disruptions and major infrastructure investment projects. His research and writing extend to transportation policy, finance, and choices that affect the resilience of transportation systems. 2. Joseph L. Schofer, “Introduction to a 2050 U.S. Transportation System,” Chapter One in J.L. Schofer and H.S. Mahmassani, Mobility 2050: A Vision for Transportation Infrastructure, June 2016. 3. Lama Bou Mjahed and J.L. Schofer, Where we Stand: Transportation Infrastructure Today, Chapter two in J.L. Schofer and H.S. Mahmassani, Mobility 2050: A Vision for Transportation Infrastructure, June 2016. Joseph L. Schofer, Paying the Way for Future Transportation Infrastructure, Chapter Ten in J.L. Schofer and H.S. Mahmassani, Mobility 2050: A Vision for Transportation Infrastructure, June 2016. 4. Raymond Chan, Pablo Durango-Cohen and Joseph L. Schofer, “Dynamic Learning Process For Selecting Storm Protection Investments,” Transportation Research Record 2599, Transportation Research Board of the National Academies, 2016. Pp. 1-8. 5. Raymond Chan and Joseph Schofer,"Measuring Transportation System Resilience: Response of Rail Transit to Weather Disruptions." Nat. Hazards Rev. , 10.1061/(ASCE)NH.1527-6996.0000200, 4 November 2015. 6. 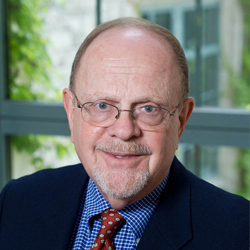 Joseph L. Schofer, “Moving the Goods: Performance Measures and the Value Proposition for Transportation Projects,” 2014 TRB Thomas B. Deen Distinguished Lecture, Transportation Research Record 2460, Transportation Research Board of the National Academies, 2014. pp.5-11. 7. Raymond Chan and Joseph L. Schofer, “The Role of Social Media in Communicating Transit Disruptions,” Transit 2014: Journal of the Transportation Research Board No. 2415, 2014. 8. J.L. Schofer and R.C. Chan, “We can Learn Something from that! Promoting an Experimental Culture in Transportation,” Access, V. 44, Spring, 2014, pp. 28-34.